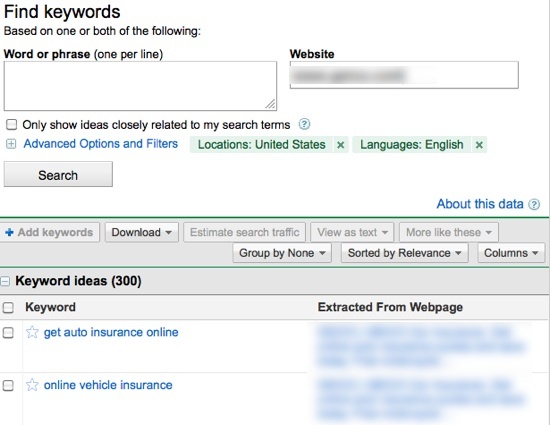 We love free stuff, especially when it comes to SEO tools and SEO data. Recently, we published a post on how to do a good bit of competitive research with free tools and now we are going to do that for competitive research on domains. It is worth noting that we reviewed the paid elements of most of the prominent spy tools about a year ago. So you can do a few different things with domains. You might want to evaluate the strength of the domain as a whole if you are beyond the keyword research phase or perhaps you want to do that in addition to checking out potential keywords you can add to your campaign. 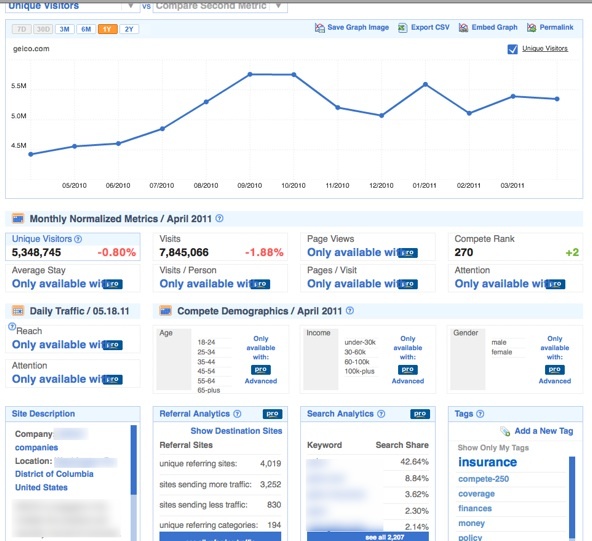 There are a few different tools you can use for this and I like to start with the SeoBook Toolbar because it's quick, easy, and incorporates the tools I want to use in one spot. 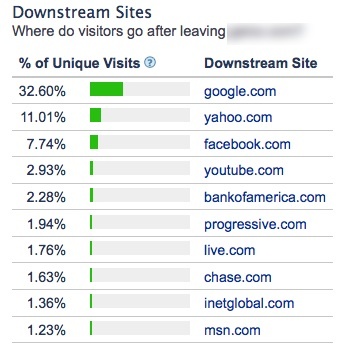 It will be somewhat clear just by looking at the chart how strong the domain is. 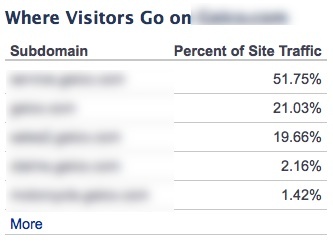 In this case, the domain is one of the stronger ones on the web. 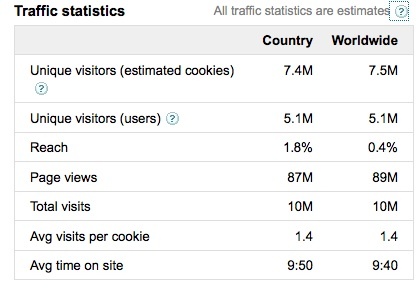 You can link through to each tool/statistic from this chart and also from the icons on the toolbar itself. 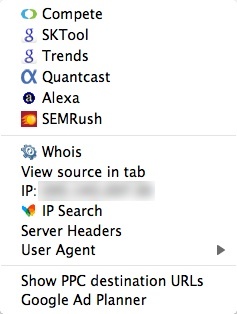 As you continue down the toolbar you can see the link-thru icons Open Site Explorer, Majestic SEO, and Blekko. 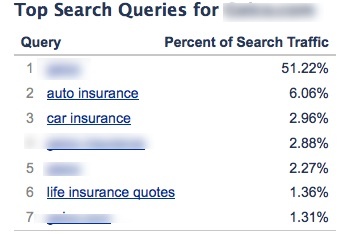 The "Dir" dropdown will show you the appearance of the site in the more important directories on the web. 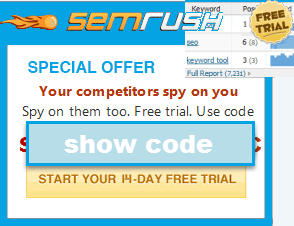 Then you also can link thru to the Archive, Compete.Com, SEM Rush, the free SeoBook Rank Checker (to quickly check rankings of a keyword on a particular domain you might be researching), and the X-Ray Tool. So here you can link through to a variety of sites to check out all sorts of data points about a domain including, but no limited to, domain registration, demographic data, and keyword data. The highlighter highlights the typed in keyword on the current page and then you've got a link to SeoBook archives, recommended RSS feeds, no-follow highlighting, and a button which allows you to compare up to 5 domains at once. 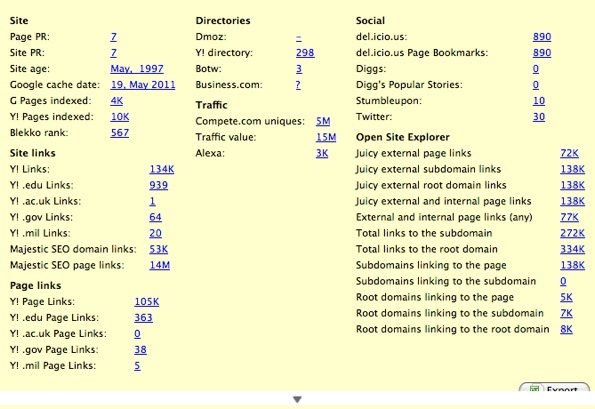 Typically, I use the SeoBook toolbar as my research assistant of sorts when researching different aspects of a domain. It links through to the relevant tools I need to properly evaluate and research a particular domain. 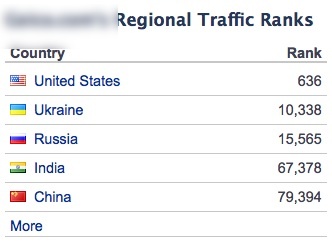 A comprehensive review on SemRush can be found here. 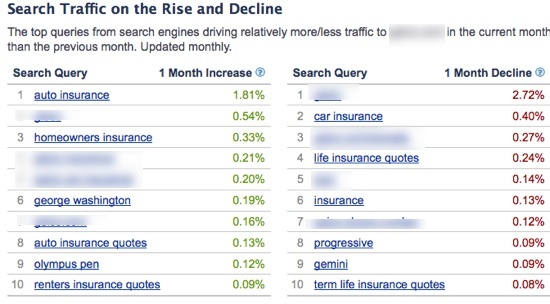 This can be helpful if you are trying to research whether traffic is heavily branded traffic or if it's more keyword centric traffic as well as the overall rankings of a site across a wide spectrum of keywords. 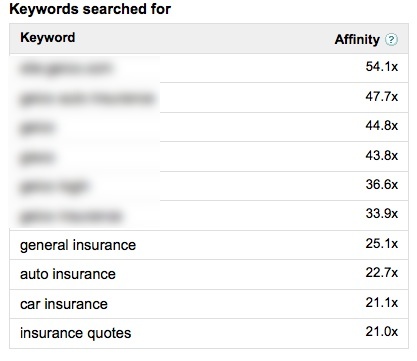 In the above example you can see that many of the top keywords are brands but they also rank highly for really competitive, core keywords. This conicides with our initial findings, via the SeoBook Toolbar, that this site is a very strong site. Compete is a more expensive competitive research tool but they do give you a fair amount of data for free on a domain. 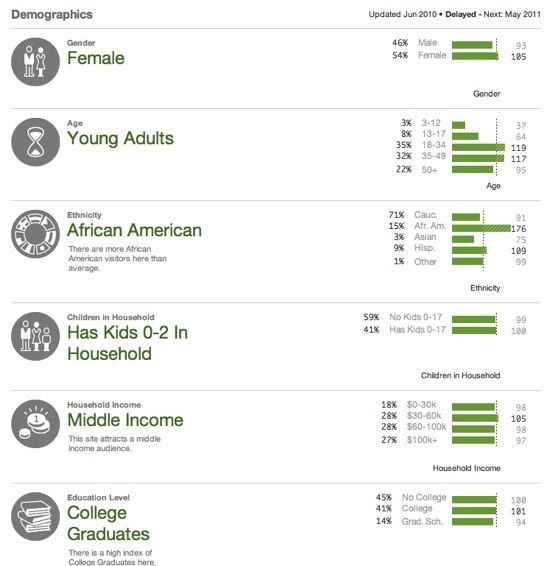 Some of the key points missing on a free account are (besides full access to the teaser data) are demographics and some deeper engagement metrics. 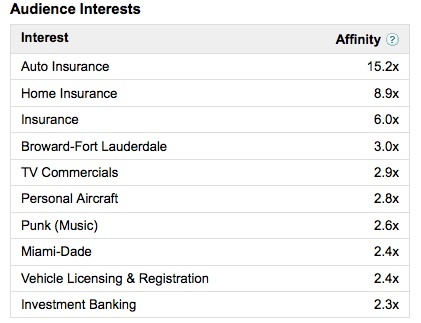 We can get some semblance of demographic data from Google Ad Planner and Quantcast for free. 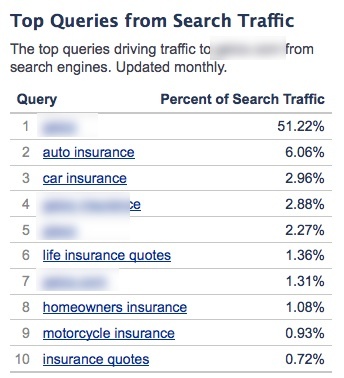 This report can give you some, albeit small, keyword data outside of a Google tool in addition to traffic history (searching for victims of Panda as an example) and some high level signals about how many sites the domain is getting traffic from. 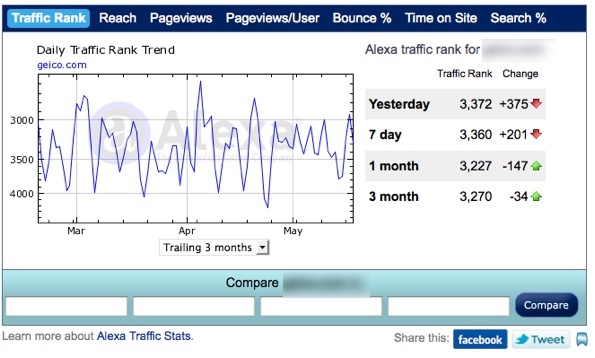 I would use a free Compete site profile to get a really high level overview of traffic size, top keywords outside of a Google tool, and traffic/visitor trends and history. 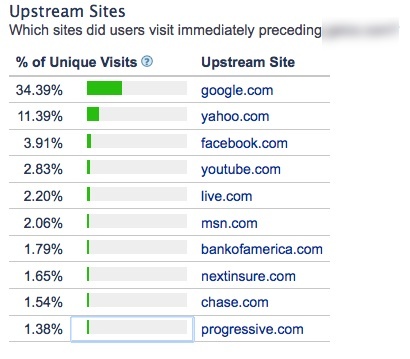 This report certainly lines up with the site being an extremely competitive one, a large brand with lots of traffic sources, and a site unaffected by the latest Google update. So once you move away from looking at some keyword and traffic sampling numbers, as well as the solid high level overview provided by the SeoBook Toolbar, you might want to consider site structure and keyword structure. This can be helpful in terms of breaking down the site structure of a competing site, finding profitable keywords they are ranking for but not necessarily targeting, and helping you plan your site structure. Since this post is on free tools, I would go with Open Site Explorer here (you could also use Yahoo! Site Explorer and Blekko for more data points but OSE offers a really quick, easy to use interface and has tons of link data). I do like using Yahoo and Blekko as well but I find that when looking at the free data options, OSE provides the deepest data out of the three and it's very easy/quick to use. On the paid side it competes with Majestic SEO which is a solid paid option as well. I think Alexa can be somewhat useful when doing quick and free competitive research, but it's also a tool that gets a bad rap due to internet hype marketers promoting it as the BEST THING EVER!. 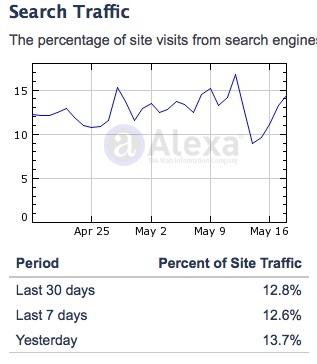 Again, Alexa's data (like most spy tools) should be taken as rough figures rather than exact data. 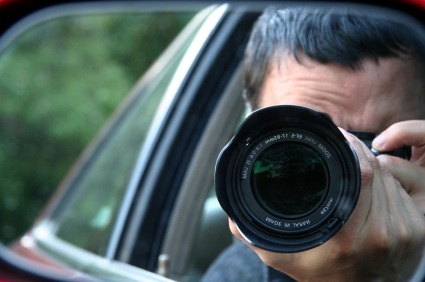 It's helpful to compare data from multiple sources as you can start to see patterns emerge or you can prove or disprove theories you may have about the site and your proposed method of attack. 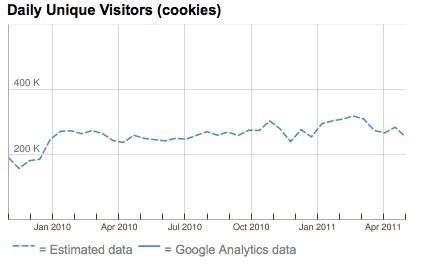 Most sites I run across are not "quantified" so the data is a rough estimate (again). 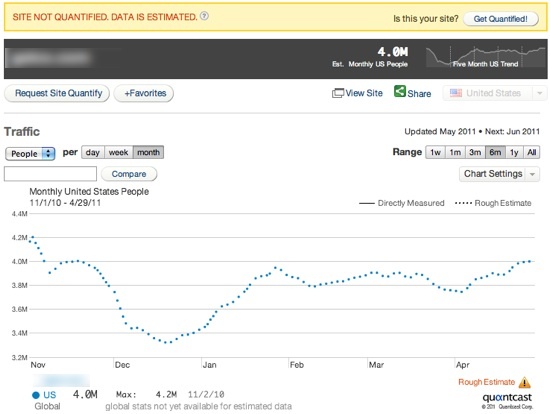 I like to use Quantcast mostly for demographc research on competiting or similar website (similar to products or services I am offering to help shape those offers and the presentation of my site). 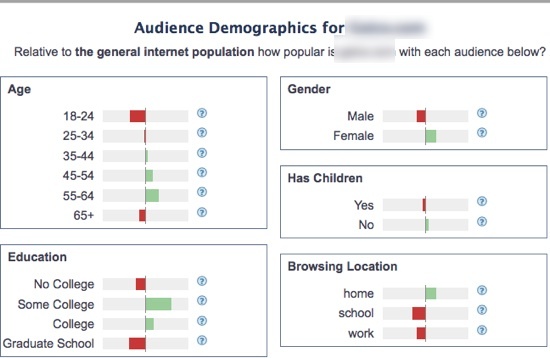 Ad Planner offers similar demographic data to Quantcast and similar traffic data to Alexa and Compete. The big difference is the data is obtained from various Google products so it's probably somewhat safer to assume that the data might be a bit more relevant or accurate since Google has lots more data than any of the tools mentioned above (at least in terms of traffic data). As you can see, free tools can give you lots of data but at some point you might have to scale up to use some paid tools. Paid tools certainly give you more data to work with but you can accomplish a lot of competitive research and background research on a domain with free tools.